Are you ready for Fall? Everything in our shop can easily be mixed and matched with each other. Our colors, patterns, textures, all together form a gorgeous collection that will delight your eyes and those who see you. Our 25% OFF SALE is still going on and ends October 1, 2013! So make sure you visit the shop to get all the items you want while they’re on sale! These prices are incredible so check them out! This season we are showcasing our gorgeous products and putting them together as outfits for you all to see – we are calling these Style Boards. Feel free to pin them onto your Pinterest board to showcase your style. 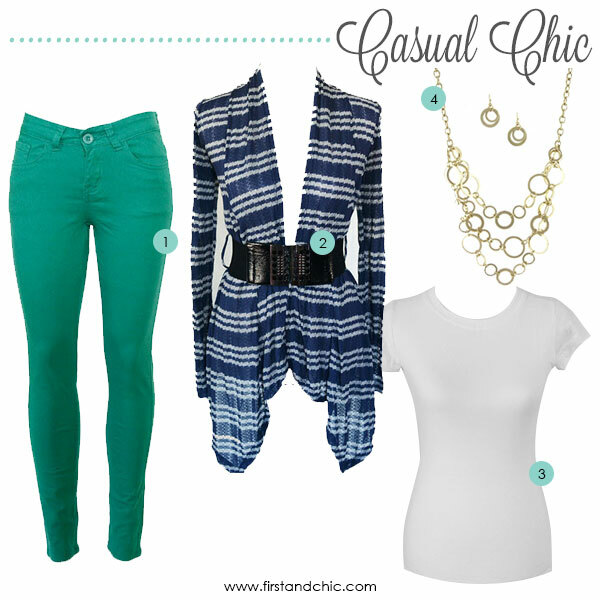 Of course, all of these lovely clothes and accessories are available at First & Chic! Want to see our style boards every day? Like us on Facebook, or follow us on Twitter or Pinterest to get all news from First & Chic! Come back Wednesday for another Inspirational Quote for Women, only here at the First & Chic Blog!